NYC Immigration Lawyers, Naturalization, Green Cards, Deportation Defense, Brooklyn, New York - How Do I Apply for Temporary Protected Status (TPS)? 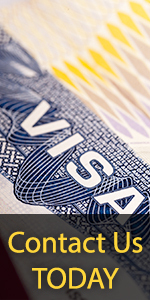 » How Do I Apply for Temporary Protected Status (TPS)? How Do I Apply for Temporary Protected Status (TPS)? · There exist other extraordinary and temporary conditions in the state that prevent nationals from returning in safety, unless the Secretary finds that permitting nationals of the state to remain temporarily is contrary to the national interest of the United States. A TPS designation will be effective for a minimum of 6 months and a maximum of 18 months. Before the end of the TPS designation period, the Secretary will review the conditions in the designated state and determine whether the conditions that led to the TPS designation continue to be met. Unless a determination is made that those conditions are no longer met, the TPS designation will be extended for 6, 12, or 18 months. If the conditions that led to the TPS designation are no longer met, the Secretary will terminate the TPS designation. Designations, extensions, terminations and other documents regarding TPS are published in the Federal Register. Section 244 of the Immigration and Nationality Act establishes the general framework and substantive standards of the TPS program. The specific eligibility requirements and procedures for applying for temporary protected status are included in the Code of Federal Regulations [CFR] at 8 CFR § 244. · You are a national of a country designated for TPS. (You may also be eligible if you are a person who has no nationality but last habitually resided in a designated country.) Please see our list of countries designated for temporary protected status. · You apply for TPS during the specified registration period. The registration period is stated in Federal Register notices of designation and is also generally noted in USCIS press releases. For specific Federal Register notice cites, please see our list of countries currently designated for temporary protected status. · You have been continuously physically present in the United States since the TPS designation began, or since the effective date of the most recent re-designation. For dates of specific country designations, please see our list of countries designated for temporary protected status. · You have continuously resided in the United States since the date specified in the Federal Register notice of designation. This date may be different than the effective date of the TPS designation. · You are admissible as an immigrant and are not otherwise ineligible for TPS. Applicable grounds of inadmissibility and bases for ineligibility are specified in CFR 244.3 and 244.4, respectively. You may also consult the instructions on USCIS Form I-821 (Application for Temporary Protected Status). If you are applying for TPS for the first time, you must complete USCIS Form I-821 (Application for Temporary Protected Status) and submit a filing fee, supporting evidence of identity and nationality, proof of residence, and, if you are age 14 or older, a fee for biometric services. If you are between the ages of 14 and 65 and want employment authorization, you should also complete and submit USCIS Form I-765 (Application for Employment Authorization) with the appropriate fee. Applicants who already have or do not wish to receive employment authorization still must submit a completed USCIS Form I-765 with their Form I-821, but without the accompanying fee. If you are over the age of 14, you will be called by the USCIS for biometrics after you send in your application. If you are granted TPS, you must re-register with the USCIS for each period that your TPS benefits are extended. To re-register, submit a completed USCIS Form I-821 and USCIS Form I-765 during the period stated in the Federal Register notice of extension of the TPS designation. You do not have to send in another fee for USCIS Form I-821, but you must submit a fee for USCIS Form I-765 if you are between the ages of 14 and 65 and are requesting employment authorization. If you do not re-register each period, your TPS may be withdrawn. Forms are available by calling 1-800-870-3676, by viewing our online Forms Page, or by submitting a request through our forms by mail system. After receiving your forms, read the instructions carefully and note the documentation that must be submitted. For further information on filing fees, please see USCIS filing fees, fee waiver request procedures, and the USCIS fee waiver policy memo. Please see our fingerprinting Webpage for more information on USCIS biometric services procedures. For filing locations, please go to the main TPS page for your country of origin, or call the USCIS National Customer Service Center at 1-800-375-5283. If your TPS application is approved, you will receive work authorization (if requested). At the same time you apply for temporary protected status, you must submit USCIS Form I-765 (Application for Employment Authorization) and the appropriate fee to apply for a work permit. Applicants who already have or do not wish to receive employment authorization still must submit a completed USCIS Form I-765, but without the required fee. Please see How Do I Get a Work Permit? for more information. May I Travel Outside the United States? An individual granted TPS must remain continuously physically present in the United States. The grant of TPS status does not mean that you have permission to travel abroad, though permission to travel may be granted by the district director in accordance with the advance parole regulations. There is no appeal to a denial of advance parole. Failure to obtain advance parole prior to traveling abroad may result in the withdrawal of your TPS and/or the institution or re-calendaring of removal proceedings. For more information, please see How Do I Get a Travel Document? Please contact the USCIS office that received your application. You should be prepared to provide the USCIS staff with specific information about your application. Please click here for complete instructions on checking the status of your application. If your application for TPS is denied, you will receive instructions telling you whether or not you are allowed to appeal the decision. Instructions on how to appeal will be included in the notice of denial. If you need more information, please see How Do I Appeal the Denial of Petition or Application? and 8 CFR § 244.10 in the Code of Federal Regulations.